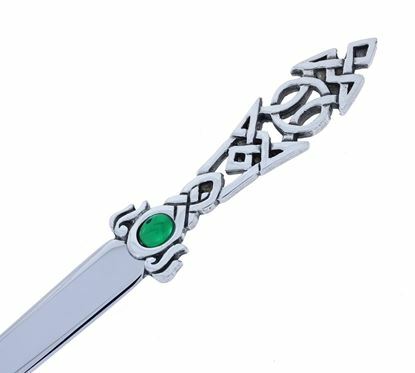 Letter Opener with a celtic inspired handle set with a green stone. 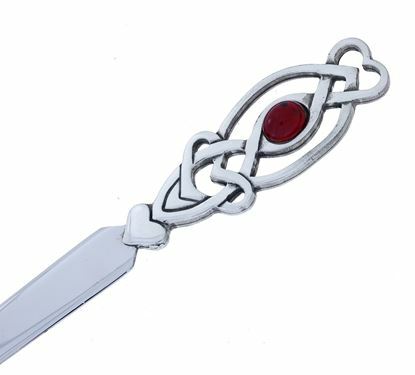 Letter Opener with a celtic inspired handle set with a red stone. 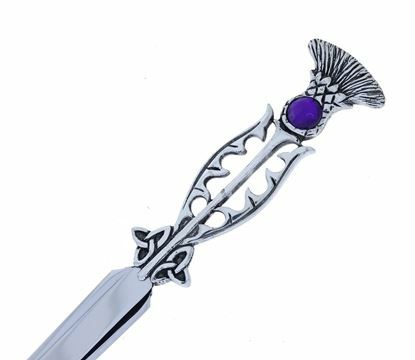 Letter Opener with a thistle inspired handle set with a purple stone. Letter Opener with a Celtic Knot handle. 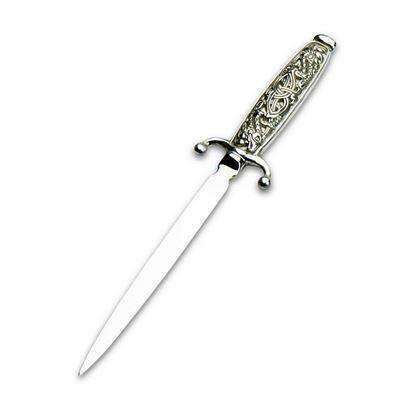 Letter Opener with an Iona Cross handle. 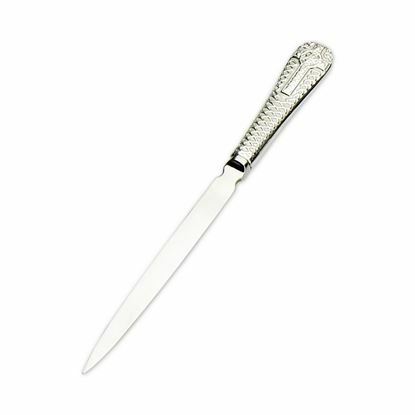 Letter Opener with a Serpent handle.